On our website you will find great quality tanks at fantastic prices!! 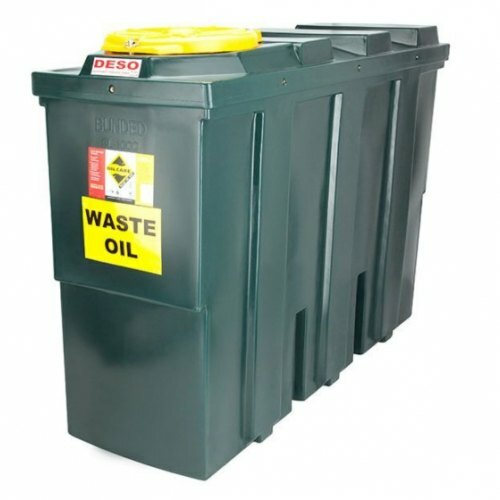 Fuel Tank Shop offers one of the largest online selections of oil, diesel, adblue, waste oil kerosene, and biofuel storage options in the UK. We supply bunded oil tanks, diesel bowsers, diesel dispensing tanks (static and portable), adblue tanks, waste oil and lubricant tanks from a wide range of manufacturers. Whatever fuel storage solution you are looking for - home, farm and business; fuel, heating oil and waste oil storage applications - we have one to suit!! Domestic oil storage, commercial oil storage and agricultural oil storage. We offer fully compliant fuel storage, in capacities ranging from 100 litres to 130,000 litres, from basic fuel storage to the latest fuel dispensing technology. We can build bespoke high security tanks with all steel construction suitable for the harshest environments. Unlike other online retailers, we hold stock of popular oil tanks in our own warehouses throughout the country. This allows us to offer standard free 48 hr delivery on a large range of standard tanks, to most postcodes throughout the UK. If you require immediate delivery, we can even offer a next day delivery service on a range of tanks for a small premium. Fuel Tank Shop are approved distributors for Atlas Tanks, Deso Tanks, Titan Tanks, Harlequin Tanks, Carbery Tanks, Diamond Tanks, Western Global and Dieselpro. New Range of Hot Water Cylinders Now Available!